'Don't touch my junk,' is taking on new meaning. 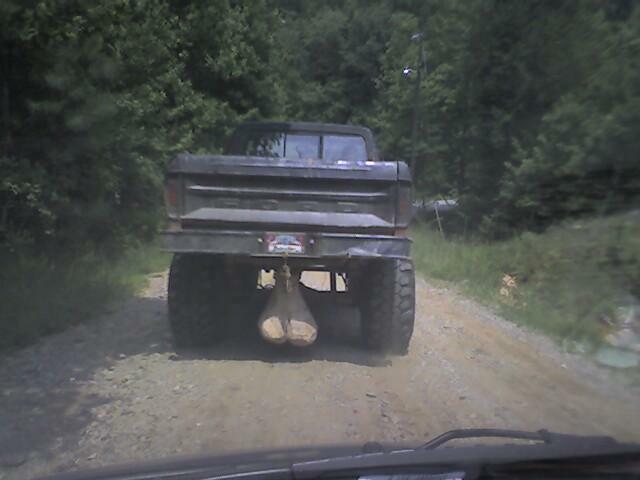 “Truck nuts,” fake bull testicles, made of plastic or metal, that drivers hang on the back of their pickups to make a truck look more manly, have been around for years. Some find them funny, while others find them offensive, prompting least three states to have made attempts to ban them — unsuccessfully. But a recent case in South Carolina is fueling debate over whether these ornaments violate states’ indecency laws and if attempting to regulate them infringes on freedom of speech. On July 5, Virginia Tice, 65, from Bonneau, S.C. pulled her pickup truck into a local gas station with red, fake testicles dangling from the trailer hitch. The town’s police chief Franco Fuda pulled up and asked her to remove the plastic testicles. When she refused, he wrote her a $445 ticket saying that she violated South Carolina’s obscene bumper sticker law. Tice lawyered up and said that is was preparing to challenge Fuda in court. But before she could ask for a jury trial, Fuda, in a rare move, beat her to it. Fuda says he is pushing for a jury trial and hopes the outcome with clarify the state’s obscenity laws, leaving no room for misinterpretation. “The law is very clear, and I am prepared to take it all the way,” Fuda told FoxNews.com. David Hudson, a First Amendment attorney and scholar, says laws banning these types of decals, emblems or bumper stickers are problematic, but often someone just hasn’t challenged them. In the past, lawmakers in Tennessee, Virginia, Maryland and Florida have proposed legislation to ban these types of decals and other explicit bumper stickers. 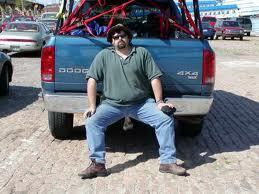 Even though the attempts to ban “truck nuts” have been unsuccessful, customers are still leery about their legality. “I can’t see a piece of plastic being offensive, it’s not like you can’t see that along the road, there are farms all over,” says Ron Pelletier, assistant manager of the Trick Trucks in Waldof, Maryland. Both say most people buy them as gag gifts. “We concur with the sentiments of people in our community and across the nation that this whole thing is a big waste of time, but it was all started by Chief Fuda,” says Bischoff.